The American Psychiatric Association has released the proposed draft diagnostic criteria for the fifth edition of the Diagnostic and Statistical Manual of Mental Disorders (DSM). These are initial drafts of the recommendations made to date by the DSM-5 Work Groups. One of the most significant proposed revisions is in the diagnostic category of Disorders Usually First Diagnosed in Infancy, Childhood, or Adolescence. Specifically, Work Group members propose a new category of “autism spectrum disorder,” which incorporates the current diagnoses of autistic disorder (autism), Asperger’s disorder, childhood disintegrative disorder, and pervasive developmental disorder not otherwise specified (PDD-NOS). This category reflects members’ conclusion that “a single spectrum disorder” better describes our current understanding about pathology and clinical presentation of the pervasive developmental disorders. 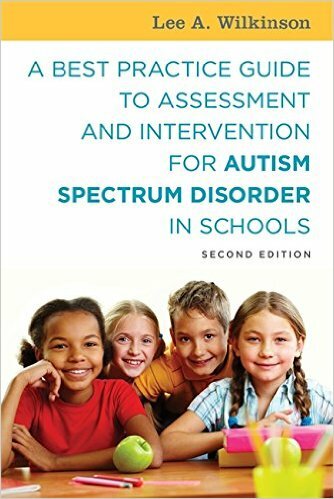 A critically important feature of the proposed criteria for ASD is a change from three (autistic triad) to two domains; “social/communication deficits” and “fixated and repetitive pattern of behaviors.” Several social/communication criteria were merged to clarify diagnostic requirements and reflect research indicating that deficits in communication are “inseparable and more accurately considered as a single set of symptoms...” Members also note that language deficits are neither universal in ASD, nor should they be considered as a defining feature of the diagnosis. This is consistent with Simon Baron-Cohen’s (2008) notion that the social and communication domains cannot be separated, as “communication is always social.” Likewise, Wilkinson (2010) notes that in actual practice, it is very difficult to identify individuals with significant impairment in social and behavioral domains who do not have some degree of communication deficit. Thus, it is possible that someone who meets the DSM-IV-TR criteria for Asperger’s disorder will also meet the criteria for autistic disorder. The proposed elimination of Asperger’s disorder from the DSM is also consistent with Lorna Wing’s initial contention that this pervasive developmental disorder is part of a spectrum of conditions and that there are no clear boundaries separating it from other autistic disorders (Wing, 2005). Another significant revision in the criteria involves the requirement that “delays or abnormal functioning in at least one of the three core developmental areas be present by the age of three.” The proposed criteria now state that although an autism spectrum disorder must be present from infancy or early childhood, it may not be identified until later in the child’s development. This is consistent with the Individuals with Disabilities Education Act (IDEA) definition of autism in which a child who manifests the characteristics of ‘‘autism’’ after age 3 could still be diagnosed as having the disorder. This revision is especially important because many capable children with ASD are not diagnosed in early childhood and can be identified for intervention and treatment at later ages. 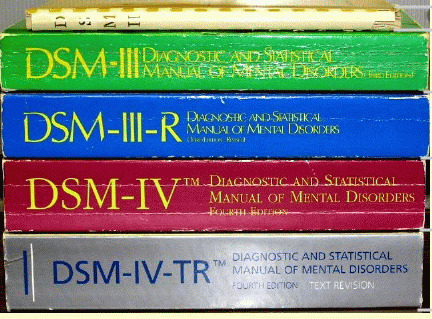 A more detailed summary and discussion of the proposed draft revisions to DSM disorders and criteria are available from http://www.dsm5.org. A reminder that these are initial drafts of the recommendations of the DSM Work Groups and that comments are invited. The public will be able to submit comments until April 20, 2010. The final approved version of the fifth edition is expected in 2013. Wing, L. (2005). Problems of categorical classification systems. In F. R. Volkmar, R. Paul, A. Klin, & D. Cohen (Eds. 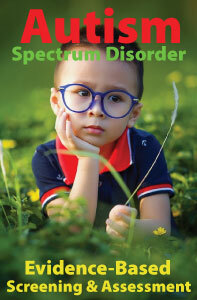 ), Handbook of autism and pervasive developmental disorders: Vol. 1. Diagnosis, development, neurobiology, and behavior (3rd ed., pp. 583–605). New York: John Wiley. The National Autism Center has completed its National Standards Project on addressing the need for evidence-based practice guidelines for autism spectrum disorders (ASD). The primary goal of the project was to provide critical information about which treatments have been shown to be effective for children, adolescents, and young adults with ASD. This multiyear and comprehensive analysis examines and quantifies the level of research supporting interventions and treatments that target the core deficits of ASD. The findings include the identification of eleven (11) “established’ treatments; twenty-two (22) “emerging” treatments; and five (5) “unestablished” treatments. The report is available from the National Autism Center at their website (www.nationalautismcenter.org). This information is especially important to service providers, educators, caregivers and parents as it identifies evidence-based treatments and provides standards and guidelines on making treatment choices. Interventions or treatments identified as categories of “established” and effective treatments include the following. Treatment strategies associated with these categories include applied behavior analysis (ABA), positive behavior support, discrete trial training, incidental teaching, peer-mediated interactions, pivotal response teaching, schedules, self-monitoring, and perspective taking activities such as social stories. More detailed descriptions are available from the National Standards Report (2009). The report also suggests that practitioners continue to follow the recommendations for the provision of services provided by the National Research Council (2001). Specifically, educational services provided as soon as the child is identified with an autism spectrum disorder and scientifically validated approaches implemented according to each child’s unique educational and developmental needs. National Autism Center (2009). National Standards Project-Addressing the need for evidence-based practice guidelines for autism spectrum disorders. Randolph, MA: National Autism Center. National Research Council (2001). Educating children with autism. Committee on Educational Interventions for Children Autism, Division of Behavioral and Social Sciences and Education. Washington, DC: National Academy Press.